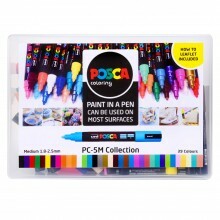 POSCAs are water-based pigment paint markers which are without solvent and odourless and can write on any surface. Paint is permanent on porous surfaces, and removable on non-porous surfaces such as glass. 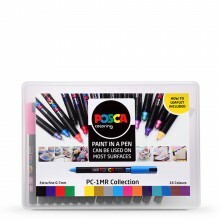 Ideal for a wide range of surfaces, the paint markers adhere perfectly to all types of paper. 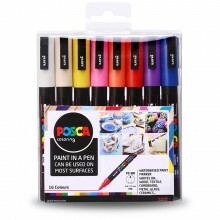 The paint does not bleed through paper.